One of my biggest pieces of advice in business is to be always looking ahead. You want to always have your end game in mind to make sure that every action you take maps to that end. I like to call that reverse engineering. If you make sure to consistently have your goals in mind, you can hold yourself accountable for what you’re doing in the day to day. Of course, a huge part of this involves feeling prepared in terms of the next few years. 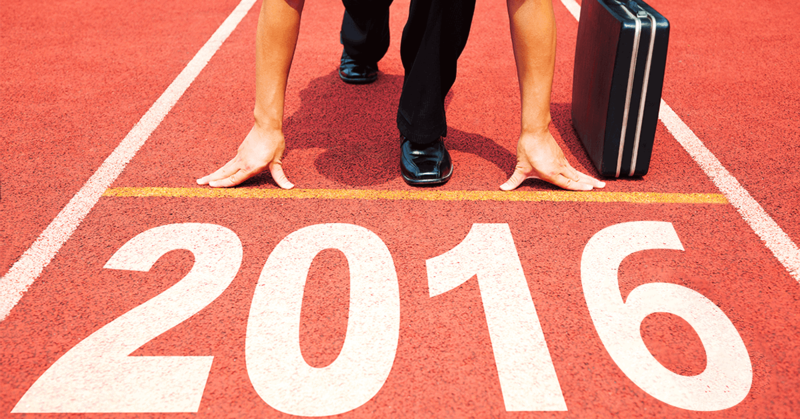 How do you make sure you’re going to be ready for 2016, 2017 and 2018? Maybe you’ll have achieved your goal by 2024, but what about in those years to come? How can you attack that time now? When people ask me how I stay one step ahead of the game, there is no big secret answer. I don’t have some special magic powers that let me see what the next big app or market is going to be. I don’t know what my 2016 social media, or business or brand building plans are because I am a counter puncher. And that’s really where the secret lies here. You need to be ready to react to the opportunities available to you at that moment. January 2016 is an eternity in the game. Microsoft is buying up stuff, Snapchat is growing by the second, Instagram’s ad product could be incredible if it gets deeper and more detailed like its parent company Facebook. All those things are possibilities. Your 2016 plan should be to start paying attention to the white space; where are things not happening yet that you think could be huge? For example, I didn’t know podcasts were going to become interesting again. I didn’t know Snapchat’s would grow older with it (but I had a hunch). I didn’t know Periscope and Meerkat were going to be invented. They didn’t even exist 6 months ago. But video was exploding last year. Short form video and real time video. So there were the beginnings of it. I can’t tell you about 2016 quite yet. But I do know I’m going to react. I’m going to react to the opportunities presented to me and not plan too far ahead. This is what I always say: if you want something bad enough, you need to work harder, but you also need to work faster. And when it comes to reacting, speed is everything. Be much faster in the hours you’re already working in. Train yourself to do a little bit more in each hour than you normally would. Every day add something, and get it all done. The first few days you may not get it all done, but keep adding on, and you’ll get there. It’s training for a marathon. It takes time, but once you’re done, you’ll see that you’re doing much more in a day because you’re moving faster. No matter what, you need to be looking for where the attention is. Where is the audience? Find the underpriced arbitrage of the consumers attention and the places where you think you can uniquely storytell in a way that brings value to those people. That is huge right now. React and move fast.